Polymer Clay 101: Available Now! 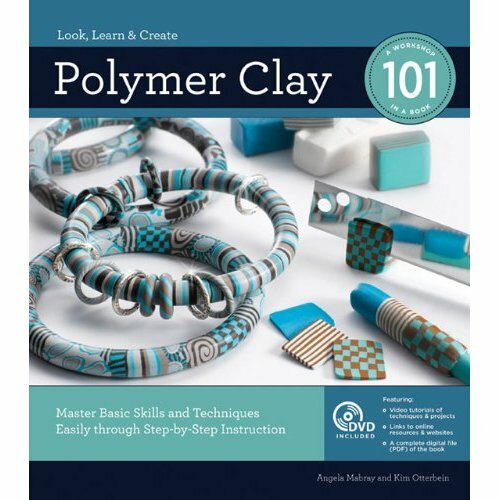 The book Polymer Clay 101 by Angela Mabray and Kim Otterbein is now available. Buy a copy today! 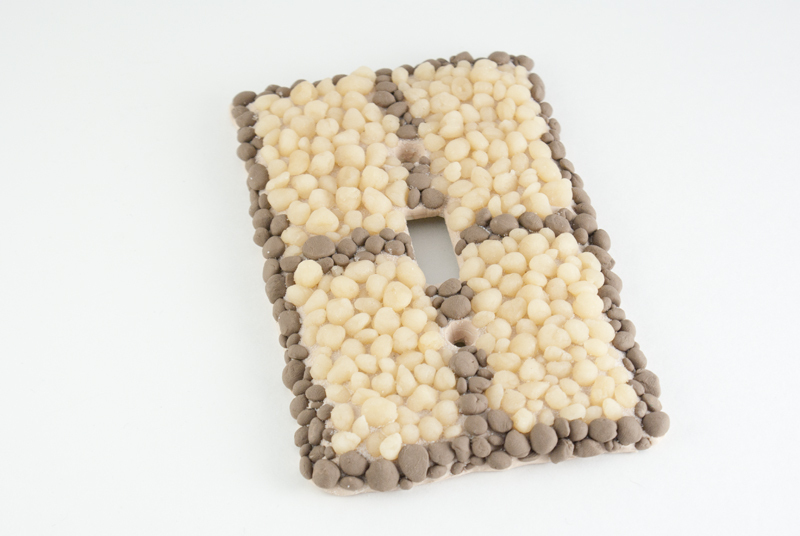 If you like the Magnetic Word Stones project in Polymer Clay 101 , here's another faux stone project to create with polymer clay. Make your own tiny pebbles, then use them to create a mosaic on a light switch cover. A unique way to customize the decor of any room! In return for this free chapter, we would love it if you could help spread the word about Polymer Clay 101 . Just click the button below to share a link with your social network, and then you'll be able to download the free tutorial. Want to learn more cool things to do with polymer clay? Polymer Clay 101 covers all the basics — tools, techniques, color mixing, mold making, sanding & polishing, etc. — in case you're a polyclay beginner. After that, 21 projects demonstrate major polymer clay techniques. We show how to do important things like Skinner blends and caning... but we also show some more unusual techniques like using an extruder for a filigree look, and carving baked clay. The 45-minute DVD shows each of these techniques in action — great for visual learners! Big, clear photos show exactly how to do each step. The spiral binding makes it easy to keep the book open to the appropriate page while you're working through projects. The professionally-shot DVD demonstrates each of the book's techniques in a very clear way. A wide diversity of projects means there's something for everyone: several jewelry & accessory projects (including buttons! ), some home decor projects (like handles for your silverware), and quite a few gift-y items (journal covers, business card cases, and even a magnetic Tic-Tac-Toe game). It even includes instructions for materials you may not have used with polymer clay before — things like fabric, Amazing Mold Putty, and Magic Glos UV Resin. Buy it now from Amazon , or see more purchasing options.